Who are the luckiest musicians in rock? Which players have made the megabucks peddling middling-at-best instrumental skills and generally keeping their heads down? Mick Fleetwood, John McVie, Eric Clapton, Phil Selway, Adam Clayton? 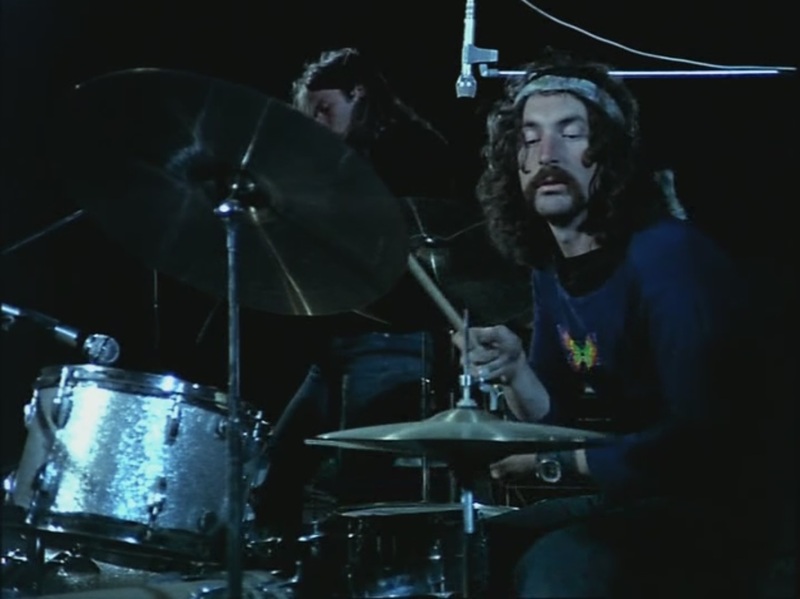 Nick Mason would probably have to be in that list too. But then you wonder if the Pink Floyd sticksman has hidden talents – after all, he’s produced the Damned, Robert Wyatt, Gong and Steve Hillage. Good musicians seem to really like and respect him and, to be fair, he has always seemed one of rock’s gentlemen. He was at it again in 1979 when he gathered a rock snob’s dream team (Wyatt on vocals, Chris Spedding on guitar, cover designers Hipgnosis, record label Harvest) for his one and only solo album Fictitious Sports, eventually released in 1981. Entirely written and arranged by jazz provocateur Carla Bley, it’s a fascinating, intermittently brilliant project that borrows from art-pop, prog, new-wave rock and even musical theatre to produce something pretty original (hardly surprising if one delves into Bley’s ouevre with any depth). ‘Do Ya’ is a highly original, witty evocation of a crumbling relationship, reminiscent of something from Robert Fripp’s Exposure, with Wyatt sounding like he’s at the end of his tether. It could almost be the soundtrack to one of those Bruce Nauman man/woman video art pieces. There are loads of other treats littered throughout, and even a Floyd/Kate Bush-style symphonic rock piece (‘Hot River‘). Mason adroitly leaves the clever stuff to Bley, generally only picking up the sticks during the riff sections. But it’s the best thing I’ve heard him do, with the exception of Syd-era Floyd. An interesting beginning – and end – to an almost fictitious solo career.